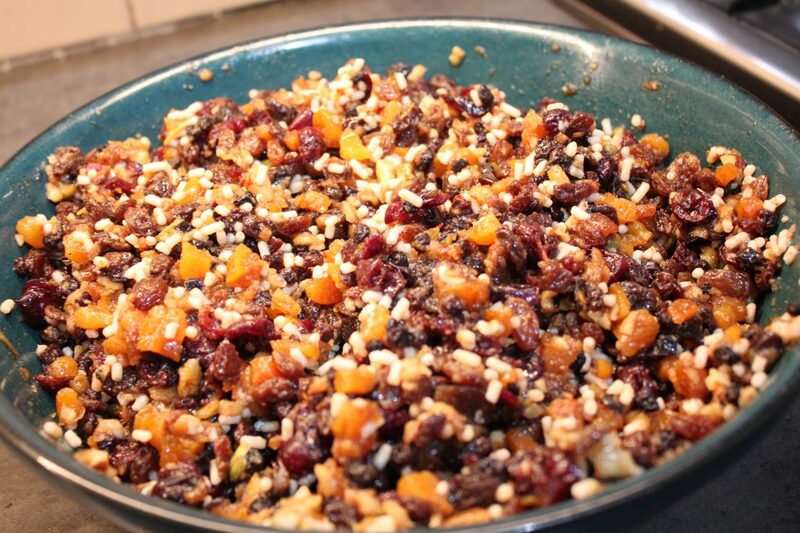 This fantastic sweet mincemeat recipe comes from Irene at Wyvis Boutique Bed & Breakfast, a beautiful 19th-century mill workers cottage nestling under the Ochil Hills in Tillicoultry, Clackmannanshire. The B&B has been rated 5 Star Gold by Visit Scotland. Irene and Terry have also been awarded a Visit Scotland Taste our Best certificate as they are so passionate about providing guests with local and Scottish produce. Guests are treated to afternoon tea on arrival. Irene always seems to be baking and sharing her cake pics on twitter! How lucky are the guests at Wyvis Boutique Bed and Breakfast! 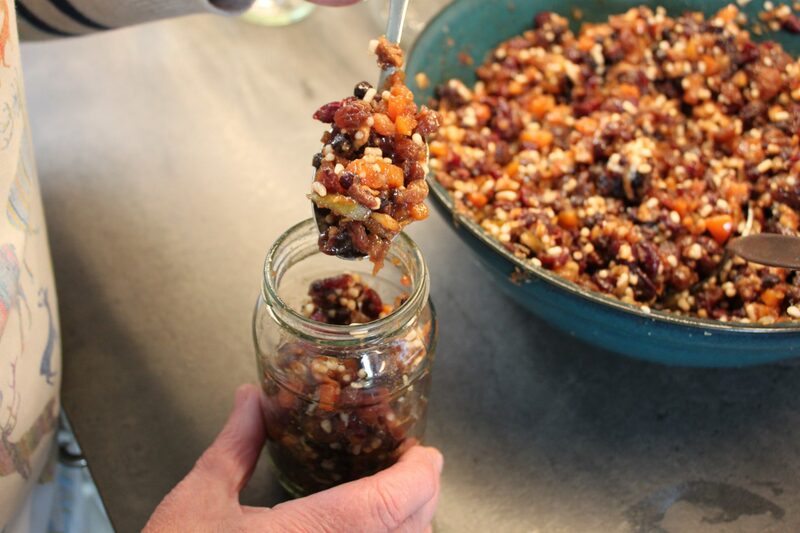 Here’s Irene’s sweet mincemeat recipe for you to try. This is such an easy recipe – I use Vegetable Suet so this is suitable for Vegetarians. 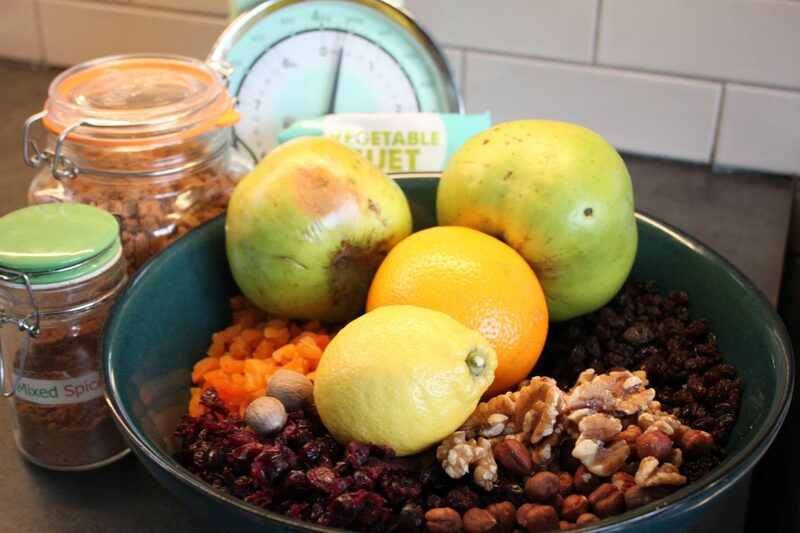 Simply weigh all the ingredients into a large mixing bowl – finely chop the Apricots, chop (not too finely) the Hazelnut/Walnuts before adding to the bowl, similarly grate the Bramley Apple into the bowl. Add the juice and grated rinds from the Orange & Lemon. Now for the exciting bit add the Whisky or Sloe Gin (or juice of Lemons/Oranges if you do not like alcohol). I use one of my favourite Island Single Malts! Mix all the ingredients together thoroughly, then cover with cling film and leave for 24 – 48 hours, turning the mix at 3 – 4 times during this period. Result: a sweetish/tangy mincemeat. Now fill clean dry jam jars, seal then leave in a cool, dark and dry cupboard, where it will keep for 6 to 12 months. If making for the festive season try and make it at least 6 to 8 weeks before – to get the best flavours. 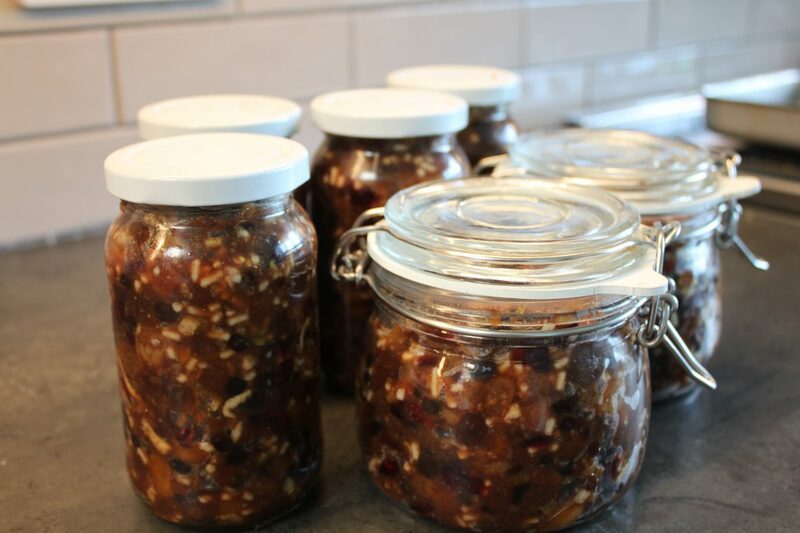 I usually use all of my mincemeat over the festive season, either as Christmas gifts or in Mince Pies – they are a nice addition to a Hamper. 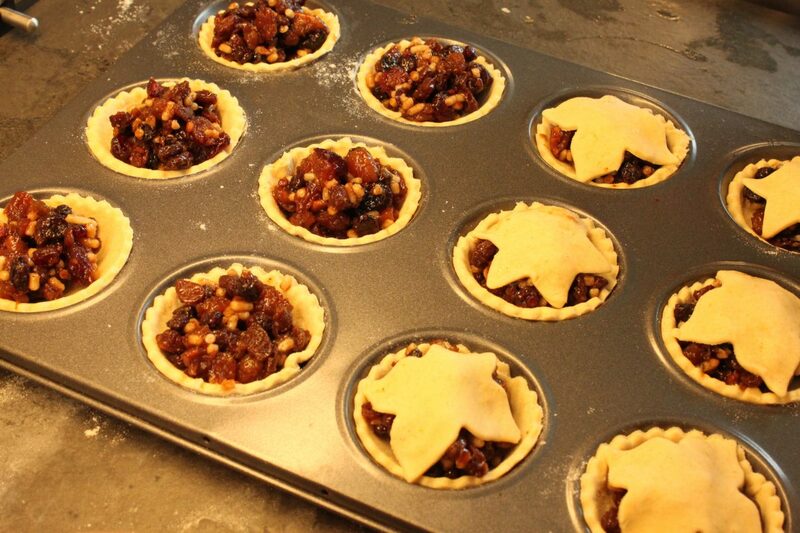 For mince pies, I use shortcrust pastry, homemade – never sweet, as the filling is rich and sweet. I also use the mincemeat in Apple Crumbles or little steamed puddings, Bakewell Slice (instead of Jam). I hope you can try out this recipe and I’m sure that when you make your own mincemeat you will absolutely love it !!! Why not follow Irene and Terry on Twitter to keep track of Irene’s home baking and see what delights her lucky guests are being treated to.